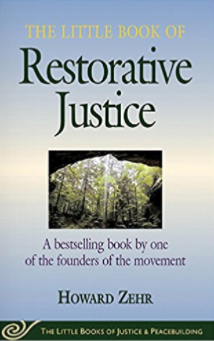 Howard Zehr’s “grandfather of restorative justice” shares that Restorative justice is a process to involve, to the extent possible, those who have a stake in a specific offense and to collectively identify and address harms, needs and obligations, in order to heal and put things right as possible. The Peace Alliance recognizes the exponentially growing movement of Restorative Justice to be one of the key systemic transformations occurring right now in the United States. It is a powerful on-the-ground response to the many issues our country faces pertaining to justice. Currently, we house over 1/3 of the world’s prisoners while we comprise less than 1/5 of the world’s population. The Prison Industrial Complex has vested interests to the tune of billions in profit every year in keeping prisons full. Corporate for-profit prison giants GEO Group and Correctional Corp. of America have led charges on state-run systems and are attempting to corporatize all aspects of criminal justice, including the profiteeering of health care services within the system. Our country has created a school-to-prison pipeline in its zero-tolerance policies and it emprisons one of ten young black males. It is estimated that half of the prison population has mental illness. Needless to say, a movement to respond to these issues and more is at hand. And then some. The Peace Alliance strives to support the mobilization of this movement, its momentum building, to create advocacy and political will in systemic changemaking, and to provide educational opportunities that leverage an already-strong Peace Alliance network in supporting state-by-state efforts towards implementing Restorative Justice. New York Times: Can Forgiveness Play a Role in Criminal Justice? New law in Colorado will help make restorative justice available to all youth. Read about it.